...... Unlike any other similar product, Wallpaper Expert allows you to control how and when your collections appear on the screen. Suppose you want to bring back memories of your last summer trip on Sundays, to see your family on workdays and wouldn't mind photos from other collections appear in front of you from time to time. Suppose you want to see your wife's smile at 8:00 and smile back at your son at 12:00. With Wallpaper Expert, you can do all that since you can specify a schedule for any collection! Wallpaper changer for windows.Features: Active desktop, 30 image formats, timer. Automatically change your wallpaper from a list. Organize your wallpapers. 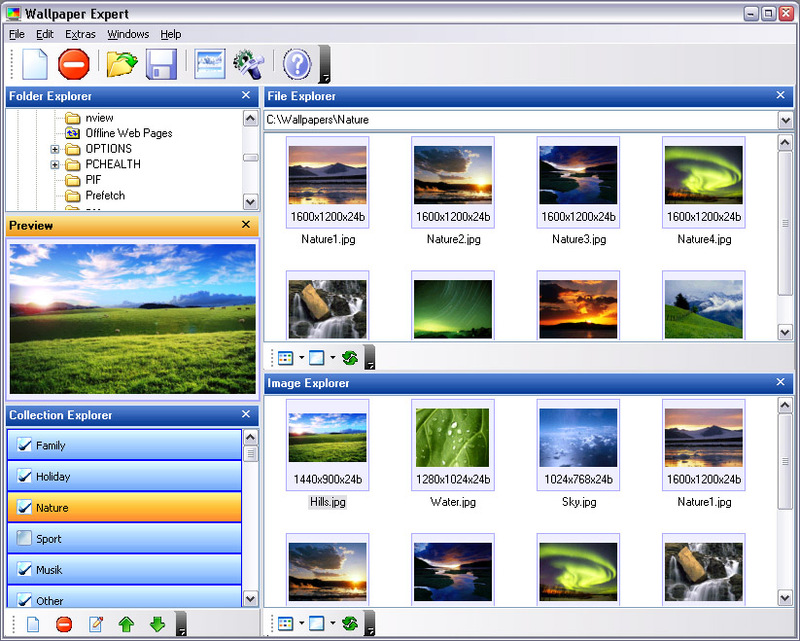 The system performs desktop wallpaper searches in various search engines. Want a creative desktop? Use Wallpaper Desktop! Qweas is providing links to Wallpaper Expert 3.8.4 as a courtesy, and makes no representations regarding Wallpaper Expert or any other applications or any information related thereto. Any questions, complaints or claims regarding this application Wallpaper Expert 3.8.4 must be directed to the appropriate software vendor. You may click the publisher link of Wallpaper Expert on the top of this page to get more details about the vendor.